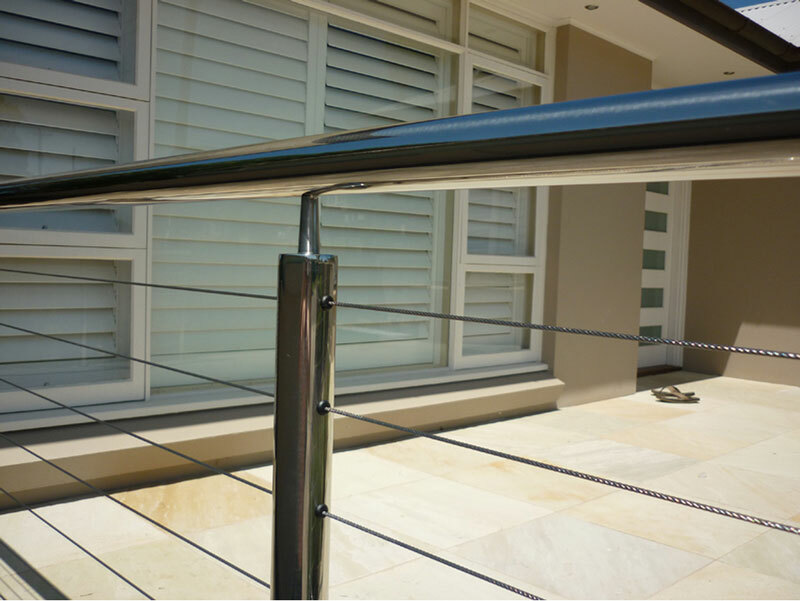 Our expert stainless fabrication staff can manufacture fences, gates and balustrades that look high value yet at very reasonable costs. Fence Magic designs usually use stainless steel as posts or spigots in combination with glass or stainless wire. Our stainless steel is marine grade S/S to assure that we will not be returning to tackle any future rust problems or tea staining, which usually occurs on lower grade stainless steel. It is strong, durable, easy to clean and non corrosive, making it ideal for high traffic areas and around waterways and salty areas.